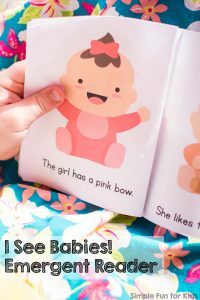 Mini folding books are good for all learning areas, I love it! 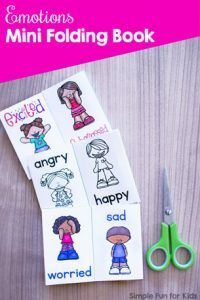 So far, we’ve done letters/beginning sounds, colors, and even emotions. Today, we’re focusing on an overview of Things to Do in the Bathroom! It’s a great way to start a conversation about personal hygiene and is available in color and black and white. 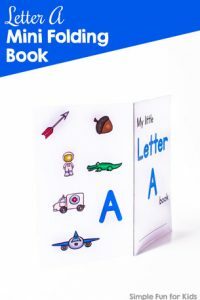 Each mini folding book is made from one sheet of paper with minimal cutting, no duplex printing, and no gluing or stapling. This file includes a version in color and one in black and white. 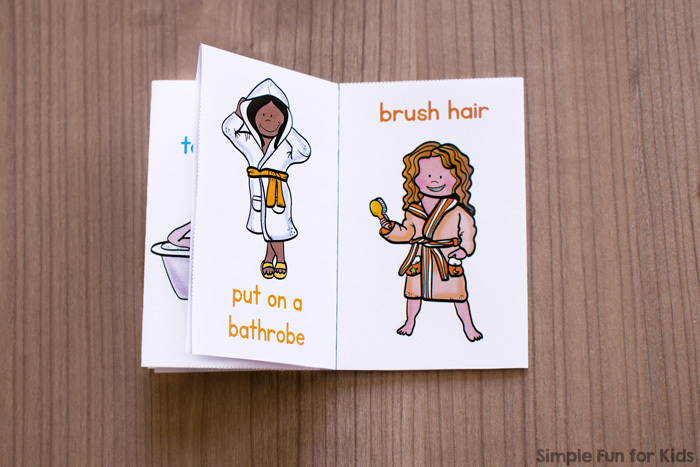 The six images show different activities that are done in a bathroom: brush teeth, use the toilet, take a bath, dry off, put on a bathrobe, and brush hair. 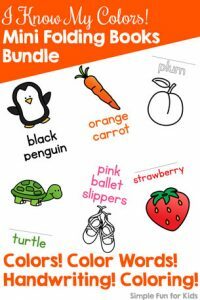 Each page is labeled with the activity that’s being shown, so it doubles as an emergent reader for older kids. The front cover says “My Little Book of Things to Do in a Bathroom” and includes a line with space for a child’s name. The back cover shows miniature versions of the images used in the book as a sort of visual table of contents. Check out the video below for visual assembly instructions or go over to this post to read about how to put your mini folding book together. 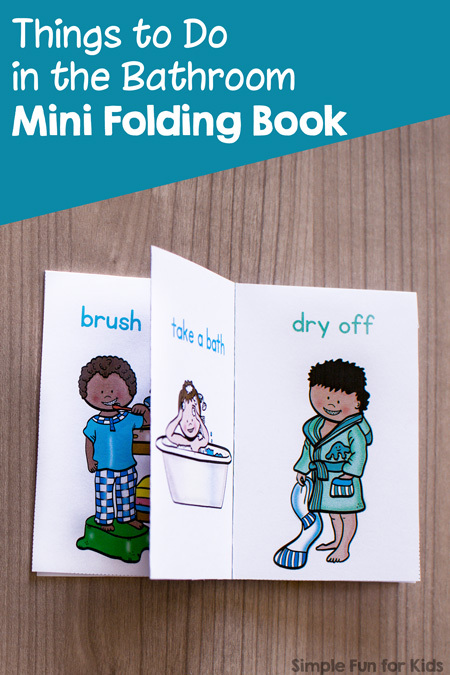 Download your mini folding book! Are you looking for more mini books? I’ve picked out a few for you!